While the idea of Marc being even busier fills his producers and no doubt his lady Valerie with horror, we were pleased to see this very kind article by Examiner columnist Gregory Kane in which he suggests that someone should give Marc a second job as a teacher of the history of the Civil Rights Movement. 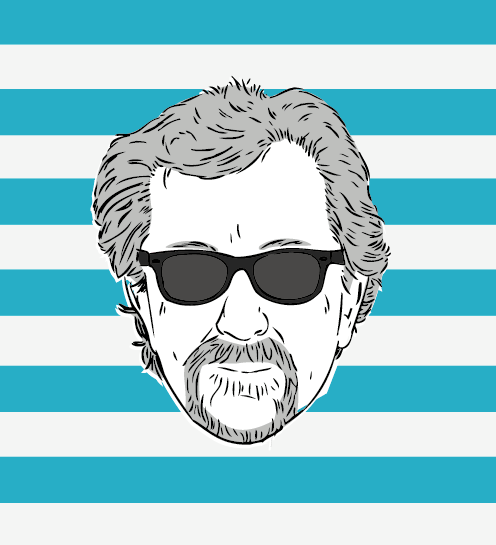 Who will give Marc Steiner that second job? 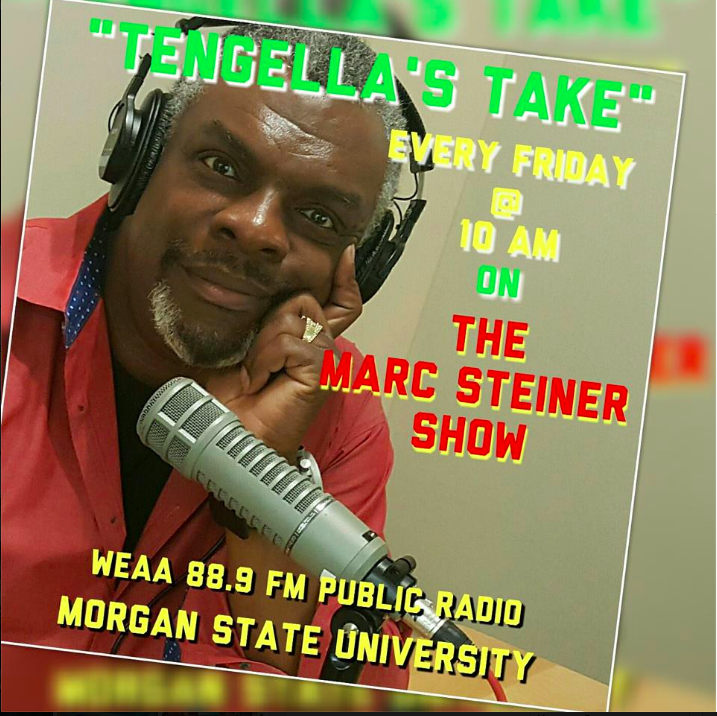 Last Monday I had the pleasure of appearing on Marc Steiner’s radio show, the one he’s hosting on WEAA, Morgan State University’s station. We chatted for a while about my Examiner column on the late City Councilman Kenneth Harris, and about how no one who knows the person or persons responsible for Harris’ murder has given up the miscreants who did it. But before we got into all that and about Baltimore’s “Stop Snitching” culture, I told Steiner how glad I was he was back on the radio. Honchos at WYPR gave Steiner the boot earlier this year. His being off the air was like Dunbar High School’s basketball team or Johns Hopkins University men’s lacrosse team having losing seasons. It was a sign of the Apocalypse, a disturbance in the Force, a foreboding sense of something terribly amiss in the universe. Steiner’s loyal fans at WYPR protested for several weeks in a futile attempt to get him back on the air at WYPR. Now that wiser heads at WEAA have seen fit to make things right with the world again by giving Steiner another show, maybe his former supporters at WYPR can get to work campaigning for Steiner to get that other job he deserves: As a college professor teaching about the civil rights era. After the show ended I told Steiner that’s exactly what he should be doing, in addition to his job at WEAA. “Who would hire me to do such a thing?” he asked me. Oh, any college president or administrator with even a scintilla of a clue, I’d imagine. Steiner’s a natural for the job. On the matter of civil rights, he’s more than a talk show host; he’s a Maryland resource. I can’t pick up a book about the civil rights era in Maryland and not stumble across Steiner’s name. He’s in Peter B. Levy’s book “Civil War On Race Street,” a historical account of the 1960s civil rights movement in Cambridge, Md. Levy mentions Steiner of page 77 as “the youngest individual” convicted of participating in one anti-segregation demonstration in the Eastern Shore town. Steiner’s Cambridge activism is also mentioned in C. Fraser Smith’s “Here Lies Jim Crow: Civil Rights in Maryland.” But his arrest during the 1963 Gwynn Oak Amusement Park desegregation demonstrations could have been mentioned as well. So might Steiner’s making the enemies’ list of the late former Baltimore police Commissioner Donald Pomerleau, who was more suited to be a KGB apparatchik than the head of any police force in a constitutional republic. Not making either book is Steiner’s account of how he attended and then departed Baltimore City College in the early 1960s. I graduated from City College in 1969, from the stage, seventh in a class of a few hundred. Steiner’s exit from City College several years earlier was more comparable to that of a parole. It involved his dispute with a faculty member whose racial views indicated the teacher had taken in one too many viewings of “Birth of a Nation.” It’s classic stuff, but only Steiner’s recounting of the story does it true justice. It’s the sort of tale today’s college students might enjoy, if not cherish. I’m a visiting professor in the Writing Seminars department at Johns Hopkins University, and I can’t count the number of times students have told me that they weren’t familiar with a particular topic before I assigned it. Often, that topic is about the civil rights era. Steiner won’t be some professor who learned about the era through textbooks and writing dissertations. He LIVED the era. He could bring it alive for today’s college students like no other professor could. Having professors who can hand out reading assignments about the arrest of civil rights demonstrators is, I suppose, pretty much OK. But I’d rather have one who could tell me first-hand what it was like. So get busy, Steiner fans. You stood up for him when those philistines at WYPR kicked him to the curb. Start that letter-writing campaign to local college and university presidents today. Get Steiner in a college classroom teaching students about the civil rights era in Maryland. Frankly, I can’t think of anyone who’s more qualified.